Samsung’s high-end Chromebook Pro has been a long time coming.Samsung has confirmed this week that the new Samsung Chromebook Pro will be launching in just under a week’s time on May 28th, 2017. 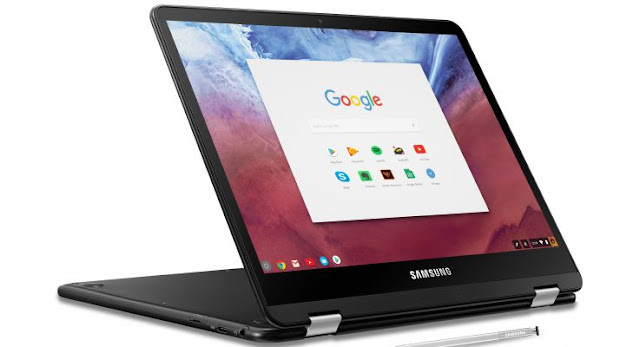 The Samsung Chromebook Pro is a notebook with a 12.3 inch, 2400 x 1600 pixel display, an Intel Core M3 Skylake processor, 4GB of RAMand includes 32GB of internal storage and the system also comes with support with the stylus. and built-in keyboard and included stylus, It’s also apparently changed color from silver to black, perhaps to further differentiate it from the Plus.